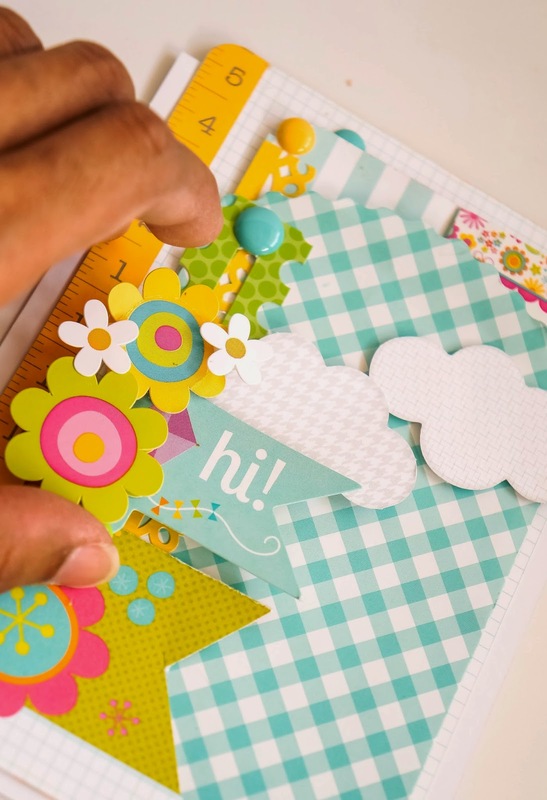 We are so excited to share our latest Design Team challenge. 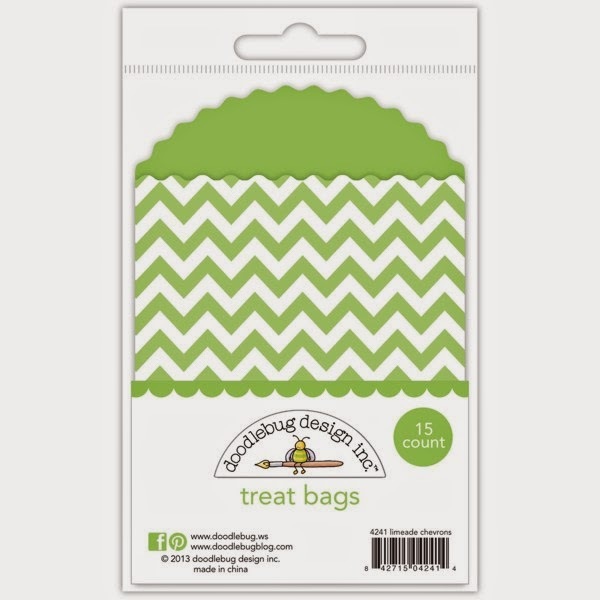 We're going to be featuring our "Treat Bags" and different ways you can use them. Our team has really knocked our socks off with some amazing ideas and you will love them. Be sure to comment and share what you like...we'll be giving away some packages of these fun items to several lucky winners by the end of this challenge!! In fact, we're starting off by featuring a fun "interactive card" idea from Sharm. Hi there! 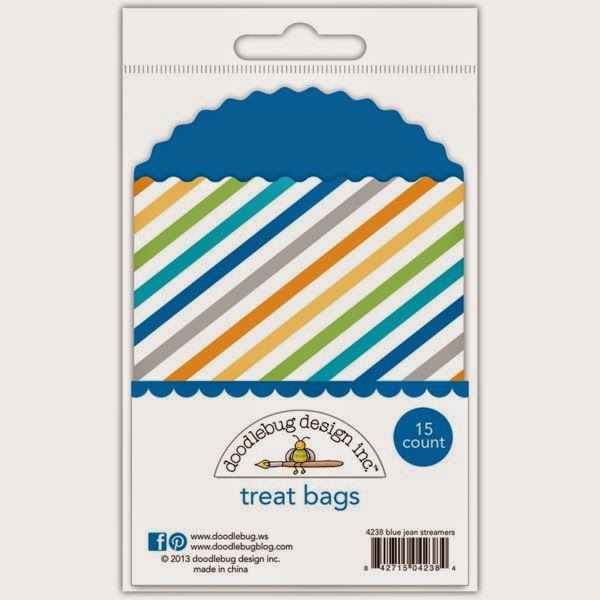 Sharm here to show you what you can use those awesome treat bags by Doodlebug Designs for. 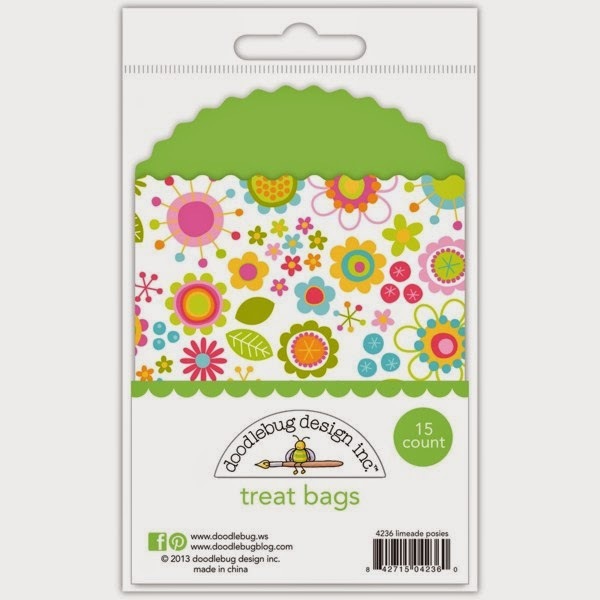 The treat bags need not be used for the conventional treats..but can also incorporated into your paper projects in many ways. For my project today, I'd like to share with you a little interactive card I made. 1) Slit a little strip about the size of the straw that comes in the pixies pack on the side of the treat bag. be careful to create the slit on only the top of the treat bag and that it doesnt cut right through the back. (this will act as the slider). 5) Gently push the card back in. 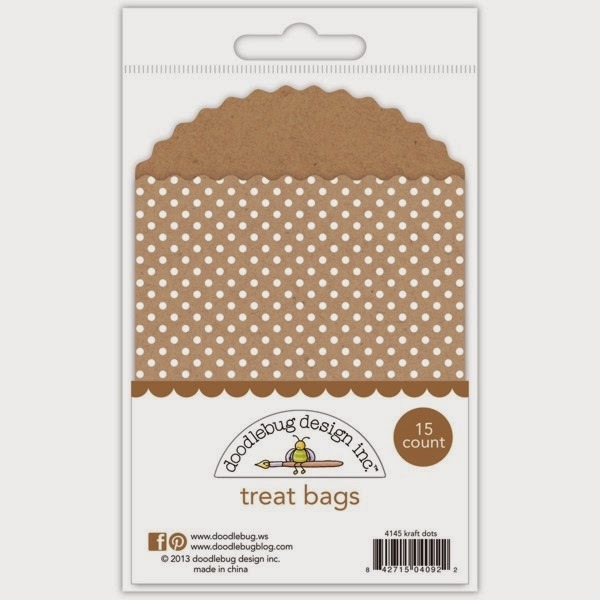 Push the 'Hi' flag upwards to see the card inside the treat bag to pop-up again. Hope you'll have fun making this! 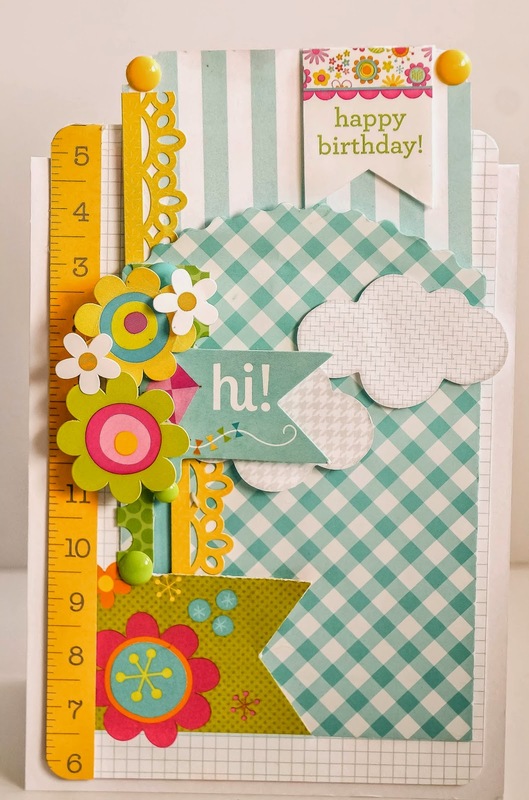 This is such a fun card Sharm!! Way to go, Sharm!! This is so cute and such a fun, fantastic idea!! I'm absolutely in love with those little treat bags...how stinkin' cute! So fun and clever! Love it! Very creative way to use thes adorable bags. The treat bags are SO PRETTY and SO MUCH FUN!!! 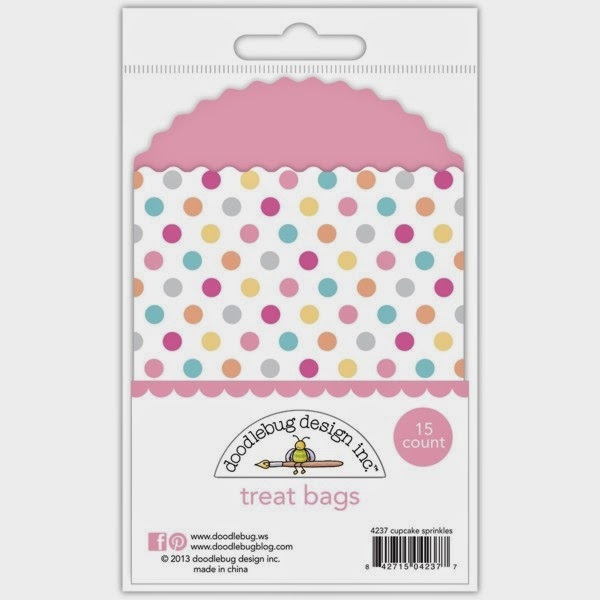 I love to use bags for my pocket scrapbooking. I hope I win!